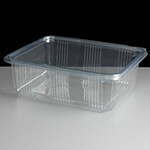 A case of 540 rectangular DOT (Dual Ovenable Tray) CPET pudding basins by Faerch Plast. 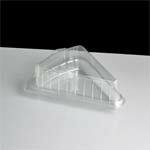 This 600ml capcaity tray is Ideal for use w or other ready meals need to be re-heated or cooked in the microwave or oven. The basin is sealed with a CPET lidding film.